Networks and networking have grown exponentially over the years. They’ve had to evolve at light speed just to keep up with huge increases in basic mission critical user needs such as sharing data and peripherals, as well as more advanced demands such as high bandwidth demand for Voice, Video & Data. Adino understands that at some point, you will have to break up one large network into a number of smaller ones. Breaking up a larger network into a number of smaller ones is called network segmentation, and it’s accomplished using Routers, Switches, and Bridges. To describe how data and network information are communicated from an application on one computer, through the network media, to an application on another computer. We all refer to the Open Systems Interconnection (OSI) reference model. Open Systems Interconnection (OSI) reference model in data transfer between disparate hosts—meaning, for example, that they enable us to transfer data between a Unix host and a PC or a Mac. The OSI isn’t a physical model, though. Rather, it’s a set of guidelines that application developers can use to create and implement applications that run on a network. It also provides a framework for creating and implementing networking standards, devices, and internetworking schemes. The OSI model is the primary architectural model for networks. It describes how data and network information are communicated from an application on one computer, through the network media, to an application on another computer. 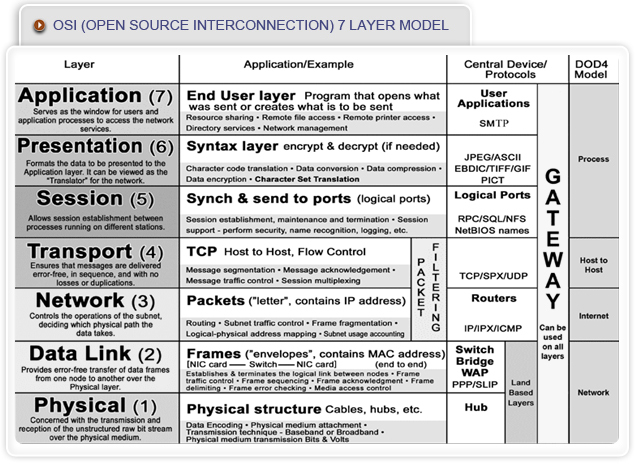 The OSI reference model breaks this approach into layers. The physical layer defines electrical and physical specifications for devices. In particular, it defines the relationship between a device and a transmission medium, such as a copper or optical cable. This includes the layout of pins, voltages, cable specifications, hubs, repeaters, network adapters, host bus adapters and more. Establishment and Termination of a connection to a communications medium. Participation in the process whereby the communication resources are effectively shared among multiple users. For example, contention resolution and flow control. Modulation or conversion between the representation of digital data in user equipment and the corresponding signals transmitted over a communications channel. These are signals operating over the physical cabling (such as copper and optical fiber) or over a radio link. The Data Link layer provides the physical transmission of the data and handles error notification, network topology, and flow control. This means that the Data Link layer will ensure that messages are delivered to the proper device on a LAN using hardware addresses, and translates messages from the Network layer into bits for the Physical layer to transmit. The Data Link layer also provides the functional and procedural means to transfer data between network entities and to detect and possibly correct errors that may occur in the physical layer. Originally, this layer was intended for point-to-point and point-to-multipoint media, characteristic of wide area media in the telephone system. The Network layer (also called layer 3) manages device addressing, tracks the location of devices on the network, and determines the best way to move data, which means that the Network layer must transport traffic between devices that aren’t locally attached. 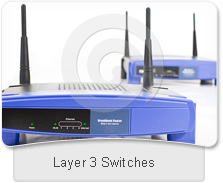 Routers (layer 3 devices) are specified at the Network layer and provide the routing services within an inter network. The network layer performs network routing functions, and might also perform fragmentation and reassembly, and report delivery errors. Routers operate at this layer, sending data throughout the extended network and making the Internet possible. This is a logical addressing scheme – values are chosen by the network engineer. The addressing scheme is not hierarchical. The Transport layer segments and reassembles data into a data stream. Services located in the Transport layer both segment and reassemble data from upper-layer applications and unite it onto the same data stream. They provide end-to-end data transport services and can establish a logical connection between the sending host and destination host on an inter network. L2TP carries PPP frames inside transport packet. Although not developed under the OSI Reference Model and not strictly conforming to the OSI definition of the transport layer, the Transmission Control Protocol (TCP) and the User Datagram Protocol (UDP) of the Internet Protocol Suite are commonly categorized as layer-4 protocols within OSI. The Session layer is responsible for setting up, managing, and then tearing down sessions between Presentation layer entities. This layer also provides dialogue control between devices, or nodes. It coordinates communication between systems, and serves to organize their communication by offering three different modes: simplex, half duplex, and full duplex. To sum up, the Session layer basically keeps different applications’ data separate from other applications’ data. The Presentation layer gets its name from its purpose: It presents data to the Application layer and is responsible for data translation and code formatting. This layer provides independence from data representation (e.g., encryption) by translating between application and network formats. The presentation layer transforms data into the form that the application accepts. 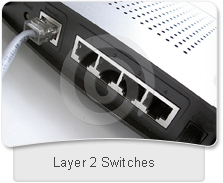 This layer formats and encrypts data to be sent across a network. It is sometimes called the syntax layer. The Application layer of the OSI model marks the spot where users actually communicate to the computer. This layer only comes into play when it’s apparent that access to the network is going to be needed soon. Application-layer functions typically include identifying communication partners, determining resource availability, and synchronizing communication. When determining resource availability, the application layer must decide whether sufficient network or the requested communication exists.